We understand that the role of PA/Secretary is an interesting and challenging one. That’s why when we design PA/Secretary training events, you will find they will be able to use practical and leading edge tools. Avon Cosmetics is a world class brand and such a brand requires PAs of excellence. In 2009 Claire Lovitt started the Avon PA forum where PAs can meet on a quarterly basis to share best practice. Twenty five PAs from across the Avon business attended a one-day development event and The Development Company was the chosen provider. The PAs selected a fast paced, fun event in which four subject areas were chosen. courses and events we can deliver for you. Below are some of the topics we have covered in seminars to PA & Secretarial staff. Click on the link to view the outline. 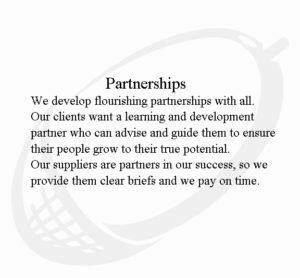 We’ve designed a set of core PA/Secretarial Core Competencies and we can deliver seminars, coaching and courses to develop your staff in all areas.